Sean has always been interested in training and coaching of athletes. After Sean found CrossFit in early 2009 he looked at ways for it be his occupation. Fast forward several years and that is what has happened. 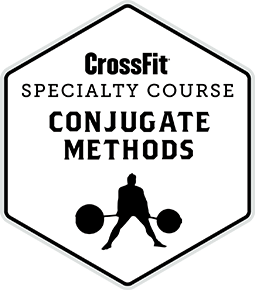 Sean continues to learn and develop so that he can continue to deliver the highest level of coaching possible to everyone at Oregon CrossFit. Outside of the facility, Sean enjoys reading, being outside and spending time with his friends and family. Sarah is passionate about supporting & encouraging people to make positive changes in their lives through fitness & nutrition. She grew up mountain biking, riding quads, playing basketball & target shooting - which led to earning her civilian marksmanship. Sarah’s health & fitness journey began with yoga & pilates in an effort to improve her overall well-being. Then, in 2012 her husband started CrossFit - and after 8 months of him encouraging her to try it she reluctantly gave in. Instantly she was humbled and hooked! She fell in love with the programming and community. Shortly after, Sarah became a coach and has been a part of the fitness & nutrition industry ever since. In 2015, Sarah & her husband, Brian, made the move from Portland to Bend with their two kids and joined the Oregon CrossFit family. 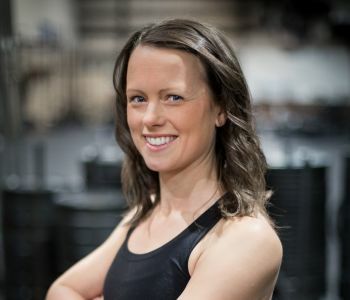 At OC you’ll often see Sarah managing the day-to-day, working out in GP classes, coaching our LiteFit program, as well as, working one-on-one with nutrition & personal training clients. When Sarah and her family are not at the gym you’ll find them using their fitness outdoors on the golf course or out exploring all that Central Oregon has to offer. After years of being a "Gym Rat", Brant decided he needed to mix it up and began to dabble in CrossFit in his buddies garage. However it wasn't until 2010 that Brant took CrossFit up as his training method full time. He never looked back. CrossFit allows him to play all the sports he likes and even run the occasional race, while being able to focus on being stronger and healthier. Outside of the gym, you can find Brant doing all of the things that living in Bend allows; such as hiking up mountains with his wife in the summer and Snowboarding down them in winter, as well as wakeboarding, basketball, fishing, and even struggling through a round of golf. Christian has a life long history of being involved in physical pursuits from paintball, trampolines and quads to more organized sports such as football, wrestling and golf. He started training when he was introduced to weights in High School but it took him a few years to realize that he had no idea what he was doing and that he had to learn to actually make progress. 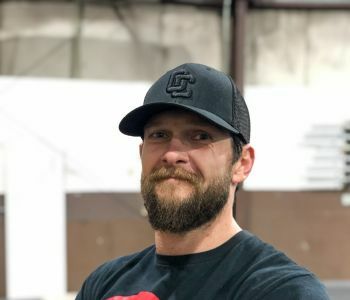 He took up training on gymnastic rings and later CrossFit after failing a challenge to do a muscle up from a friend who had just found out about it while in the military. Now he spends most of his time experimenting with different training styles, methods and techniques to find optimal ways to make progress and stay healthy. When not in the gym, he's normally reading about ancient samurai, science and human performance, contemplating what previously beneficial evolutionary traits are manifesting in annoying drivers, enjoying a delicious cup of coffee or exploring around Oregon. 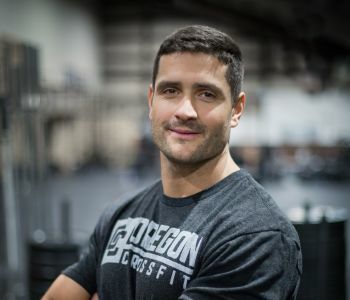 Patrick was brought into the world of CrossFit in 2010 after being strongly urged to try it by his brother, Sean and he has been actively involved at Oregon CrossFit ever since. 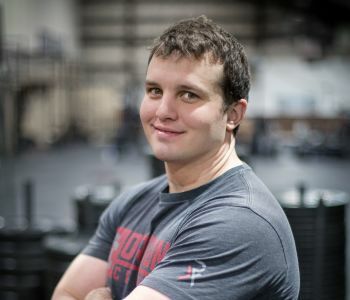 Patrick received his Level 1 Crossfit Trainer Certificate in November of 2010 and again in September of 2015. You may not see him coaching as frequently due to his full time job with Manzama, a software company in Bend, but he's usually a regular each weekday afternoon. 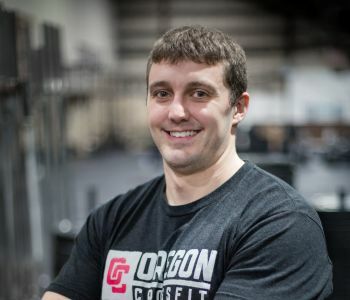 Before joining Oregon CrossFit Patrick played football at Willamette University while earning his Economics degree and then continuing onward in school for his Master of Business Administration. Michael found Crossfit in 2006 while searching the internet looking for new ways to challenge his person training clients. He was bit by the bug and immediately started adding the WODs to his daily routine. Michael believes that there is no better or bigger way to make an impact on peoples lives than through fitness. Michael realized that helping people with fitness would always be a part of his life when, after 6 months of training a client and helping with his nutrition, he was approached by his client, in tears, who had just returned from the doctor and exclaimed that he was finally taken off all of his medications that he had been prescribed for more than 10 years. Michael moved to Bend in the summer of 2017 to enjoy the numerous outdoor opportunities including mountain biking and snowboarding. There are many nicknames for Elena like “Mamma Elena, Mighty Mouse and Spider Monkey” to name a few. She is a veteran of Oregon CrossFit. In 2008 Elena was introduced to CrossFit which was the perfect training for her goal to be a contestant on the reality show American Gladiators. After submitting the application and video, the series was cancelled. Always looking forward she went on to compete in the 2009 CrossFit Regionals, 2009 CrossFit Games with the OC team that took 5th place, 2013 CrossFit Regionals OC team. 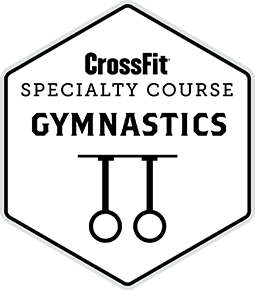 Elena continues to pursue her enthusiasm of CrossFit by obtaining L1, L2, and other certificates. She has spent hundreds hours studying all things CrossFit, Gymnastics, Weightlifting, CrossFit Mom’s, Nutrition and L3. She is driven by being a part of the life changing transformation so many of the OC athletes make. Her fitness began age of 7 with a 5k taking 1st. She dominated track and set records all through Middle school, High School and State. A major accident left her with a dislocated left hip, broken right ankle and sprained knee. Elena was on varsity tennis, cheerleading, soccer and was in Junior Miss. She graduated in 1998 and moved to Bend for the Massage Therapy Degree Program and finished in 2000. Continued her education in Exercise Science, Nutrition and became a Certified Medical Assistant. Since 2002 she works as a Plastic/Reconstructive Surgery Assistant. Married since 2007 to an Army Combat Medic, they have a 6 year old little boy (her mini-me). She is a foodie and loves to gourmet cook for friends and family, reading, shooting, gardening, laughing, sports with her son and being stronger than her husband! She divides her time with training 5 times a week and coaches most Saturday’s. Justin comes with a unique knack for getting people to move and lift a lot weight. An infantry officer in the Marines for 17 years he first ran into CrossFit while trying to find a quicker way to get his platoon ready to deploy and stay in shape while deployed - his first official membership at a gym was in San Clemente in a guys garage. Justin firmly believes CrossFit will make you better at everything in life. Just show up to class! When not in the gym he and his wife, Scout spend time with their six children.